Well, it has been another quiet week on the blog. Life was not overwhelming this week, in fact, it was gloriously routine, but I think I am still drained from the events of the beginning of the month. I did not come home and fall asleep on the couch, but I did come home and veg on the couch. Perhaps this coming week I will have the energy to avoid the couch altogether and do something more productive – like escape with a good book or work on my own writing skills. It seems that during this season of life my blog routine seems to concentrate on the weekends. I try to read as many of your blog posts as possible on Saturday and Sunday mornings, and then I try to write my own post(s) in the afternoon. The blog reading this weekend showed me that I am not the only one who is struggling with finding balance in life that includes blog writing, blog visiting, and blog commenting. Nicole had a fabulous post that summarized my “bloggy” feelings perfectly. I DO read a lot of blogs, but I simply do not have the time to comment on each and every post. While I love the idea of continuing a blog conversation with my cyber friends, the reality is that I don’t have time to respond to comments made on my own blog. I LOVE them – I READ and CHERISH each and every one of them (except for those pesky Spam comments – which I will discuss in a moment), but my life would be totally out-of-whack if I commented on all of them. I hope you understand – and I hope you take the time to read Nicole’s post, which is so much more eloquent that what I have just blurted here. Along these same lines Lynne posted this morning about Blogging without Obligation – which apparently was as popular a subject in 2007 as it is today. I will ask you to visit Lynne’s blog to read all that this button entails, but essentially, it gives us the freedom to make our blog what we need/want to make it. And while I would love to post everyday, read 4 or 5 books in a week and immediately post well-written, thoughtful reviews, the truth of the matter is that is not a possibility right now. For someone who naturally accepts guilt for any situation, I need this visual reminder that it is ok if the blog is what it is – and that it is not what my unrealistic expectations tell me it should be. Does the lack of new posts signal the spammers to visit your blog with increased regularity? I initiated the comment moderation function on the blog about six months ago when I seemed to be inundated with spam. That seemed to do the trick and up until this week, I have only had to delete a couple of comments a week. This week, however, I have had multiple comments A DAY from spam artists and I must say that it is rather annoying. Is anyone else experiencing this phenomenon? Well, classes have been in session for nearly a month and we are now in FULL SWING – and what I mean by full swing is that there are papers to grade, tests to grade, novels to read (re-read for me), and parental communication to delicately write. I have three wonderful Teacher Aids this year who can help with the grading quite a bit – but the buck does end with me and that it is always time consuming. I did have a fun experience with the iWrite class – the class where they are to write a 12 chapter novel in a year. We are having a TON of fun – but not quite doing all the required work in the One Year Adventure Novel curriculum. I have now decided that we will do the worksheets in class – helping one another flesh out characters and potential conflicts, rather than requiring it as homework. I do like to try to give the students some time at the beginning of class to exercise their creativity and found this exercise on the internet that they absolutely LOVED. One student – my star “artist” – went to the white board and drew a square that represented the four walls of a room. The students were then told to design this room. I did not tell them what kind of room it was – how big it was – where it was located. Just – design a room. OH MY WORD — 30 minutes later they had created an elaborate study/den that included not only props but characters, and the design continued to the front yard with added landscape and mythical creatures. They used the entire white board and complained that they did not have more space. They asked if we could keep it up and continue the adventure the next class period. It was one of those times when an idea for a lesson is actually better in person than it was on paper. It was awesome! Well, I continue to fail miserably at reading challenges. As much as I LOVE Carl’s RIP challenge, I have just not been motivated to read any of the books on my list. I blame this ongoing feeling on that of general malaise and remain optimistic that this is not a life-long condition, but rather, a brief interruption. I hope to return to my old reading self shortly and still participate in this challenge, even if it is at a slower rate than I had hoped. 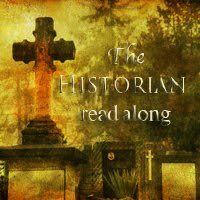 One event that I would LOVE to do is participate in the read-along of The Historian. This book has been on my TBR bookshelf for several years and I even had it listed on my original RIP reading list. While 100 pages a week would not normally prove to be much of a problem for me….for some reason this year it seems like an impossible goal. I did however pick up a book that I had put on reserve at the library, A Writer’s Book of Days by Judy Reeves. I know that I discovered this title on one of your blogs, but darn if I can remember who it was that recommended it. If it was you….please know that I am forever in your debt! This book is absolutely PERFECT for me and where I currently reside on my writing journey. The book is divided into 12 chapters – one for each month of the year. There are 12 Writing Principles that are highlighted for each month, as well as very practical advice to help hone the writing craft. In addition, each chapter also offers a writing prompt for every day of the month. I have always struggled with prompts because they are typically focused on the ‘creative’ side of writing and quite honestly, my brain draws a complete blank once the prompt is read. These prompts, however, have the opposite effect for me. As I was reading them my mind instantly imagined a scene or a memory or a possible life application and I WANTED to stop what I was reading and start writing immediately. I also loved the fact that there was no right or wrong way to write about these prompts. If I want to use the prompt to write a scene for a fictional story, I can do that. If I want to write about a memory from childhood, I can do that. If I want to imagine what life might be in five years and write about a personal dream, I can do that. I feel as though I have finally found a book that will allow me to be the writer I desire to be. I have finally reconciled the fact that writing (for me) is not wasted time, but rather vital to my journey of self-discovery. 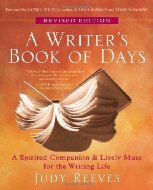 A Writer's Book of Days sounds fabulous! I'm going to check it out. I like the creative explorations you are doing with your students. I wish I'd had teachers like you! I did see Nicole's post and agreed with it wholeheartedly. For me the beauty of blogging is that it's personal and each and every blog and blogger is different. Spam just seems to come in bunches, I think. I love stopping by here on Sundays. The new spam filters on blogspot have worked very well for me. I've got moderation set to begin after a few days for each post, but the new spam filters have worked so well, I'm thinking about turning them off altogether. My main problem was with Chinese language spam. I've not seen a piece of English langauge spam in many months. I've been fighting off this lethargy, and have several books that have needed reviews written for weeks and I've still not been able to get to them. Need to step back and reassess I think! Lots of good stuff here, Molly. Love what you did with your students and how motivated and creative they were. As far as spam, I don't get anymore now that I use Intense Debate. Molly, I saw those posts as well about "blogging guilt-free", and totally agree. I think if people enjoy your blog, they will read it whether you post once a week or daily. As for the comments, I do feel guilty when I don't respond to ALL the comments people leave me, but I do try and visit their blog in return, and comment when I have something worth saying. Keep doing what feels right — we'll be here to support you. Nicole's post was excellent and is probably going to fuel a post of my own. I always enjoy reading about what your classes are up to, Molly – thanks for sharing! There is a special place in hell for spammers. I am a huge proponent of blogging without guilt, as I've written about it several times now. Nicole's post ties well with that idea because to me, part of blogging is commenting. We blog when we can, when we feel like it, and we also comment when we can and when we feel like it. Guilt needs to be removed from the picture. I love hearing about your classes. Your students are SO lucky to have a teacher who cares about her students as you do! BTW, The Historian is an absolutely FANTASTIC book! It is one of my favorite contemporary novels and one of the few I've re-read. Enjoy! I've already posted Lynne's button and am running with that idea for 2011 ! I say do what works for you and we'll show up no matter what!! Your week sounds extremely busy and I can see why the weekend is the time you have to read, update your blog and stuff like that. I have almost given up on the remaining challenges I have left. Just don't think I'm going to make it. Now last year I would have been filled with anxiety because of that, but I've thrown all of that to the wind!!! Have a great week Molly! It's been great to catch up with you, Molly. Sounds like things are finally less stressful this week – good news! I've had trouble carving out any blogging time at all the last couple of weeks… love the idea of blogging without obligation! Hear, hear to guilt-free-blogging! Let's have the courage and the conviction to fill our "cups" the best we can. Learning balance seems to be a hard lesson that I have to learn continuously. I seem to do will with it when it comes to my blogging, now I need to take you advice and apply it to the other little corners of guilt in my life…. My school year is getting into some semblance of order. Is chaos an order?!?!?! No truly, I am feeling a little more in control. I hope it lasts. I hope that you are finding the blogging world a relief and not a burden, that's what friends of any and all kinds are for. Make it a good week. I think we should all just stop pressuring ourselves to keep up with blog writing and blog reading and do whatever makes us happy. It's supposed to be fun and not stressful. I keep telling myself this so I don't feel guilty when I fall behind in blog reading. It's so hard to keep up when I only have a handful of minutes each day to spend on the blogs. I always enjoy your blogs, whenever they appear, Molly, and I always feel that, unless it is in some way tied to employment, which is rarely the case, it should be fun, provide for personal growth, inspire . . . I read quite a few blogs and I comment as I can and as I am moved to do so. I love comments as much as I enjoy knowing even more are reading my words. I write most days and go for periods of time with no spam. Just after I read your posting yesterday, however, I found an inordinate amount of spam had occurred. Interesting, no? wordpress does a great job of filtering spam and holds them for the blogger to delete. What I really wanted to say to you, however, was that I admire your words here and I admire your teaching. Having been a teacher myself and later a member of a board of education, I can say with appreciation that you are a credit to the profession and thank you for being there for the kids you teach. What I'm finding interesting about my own blogging is that there is such an evolution to it, even as I evolve as a fully self-expressed person. Mine started as a book review blog. Like you, I don't have (much) time for that anymore. I could post every day about the craft/techniques of writing, and review that type of book–but I don't yet have time for that, either. I have waiting in the wings a list of 175 writer's blogs, people I could connect with when the time is right. It's all very strategic for me, and so right now, my blog is basically in limbo. But Molly, I adore you and your blog. Even if you post only once a week, you can be sure that I will be reading it. I love the look of the writing book. I shall add to my list. I know what you mean about blogging. I have had to stop completely on the weekends as my children keep me far too busy. I feel like I am passing you one way as I go another -LOL. We can only do as much as we can do and no one expects you to comment all the time. Just the odd stopping by to say hi is often enough to know that your still there. We won't desert you, promise! Your my writing book guru! It's funny you talked about the spammers. They suddenly disappeared from my blog a few weeks ago . . . maybe they've come to visit you instead. Just kidding! Glad your life is more routine this week. And I hear you on the blogging … my personal blog hasn't had a post for almost a week! I've just been uninspired, and thinking of making a few changes to how I do blogging. I like the idea of blogging without obligation. I was so happy to see your comment on my post. How do you manage to fit everything in your busy working life! I loved reading about your creative writing class. I love reading your posts. Always inspiring. Go well. You are great! As much as I've wanted to join the Blogging without Obligation campaign, I never could. I respect those who can though. My attitude is I do my best and leave the rest. What more can others ask of you, right? What an interesting post, which addresses so many concerns…I'm not sure what makes us so compulsive to feel we have to read/write/comment on it all (could that be the teacher in us? No, because it plagues others as well). Anyway, I like the freedom to be under no obligation. By the way, I loved The Historian. What a perfect autumnal read, which should be followed by Dracula in a perfect world. I get so much spam on the old Reading Nook blog it's ridiculous. Had to go full moderation. But the new blog I don't. Kind of weird how spammers target. Anyway, here it is Thursday and I'm finally able to read this post (I've started to so many times throughout the week) and comment. And I only have six more minutes until I'm "on the clock" at work. All that to say, I hear you Molly. Blogging with regularity is really tough–even reading a book a week for me is tough these days. I'm lucky to read 2-3 a month and good luck reviewing them right away. 😉 I like the idea of blogging without obligation–and truthfully I wish that others would take it down a notch and not post every day or sometimes more than once a day! But I know everyone has her/his own style. I hope you can get to The Historian. It's a really fantastic book!! Hope you're having a great week Molly. Oh, Molly, I LOVED catching up with you. Read the Historian a couple of years ago to work on my framed stories. Sigh. Speaking of stories, about to go into the writers cave to meet two deadlines. I will miss you and hope you can drop by my place occasionally. I will be lonely!!! !